Il Rovescio della Medaglia were formed in Rome around the end of 1970 from the ashes of the beat band I Lombrichi. 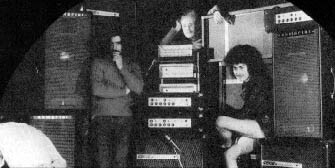 Enzo Vita, Stefano Urso e Gino Campoli founded the group, that had as lead singer first Gianni Mereu (not the guitarist of Logan Dwight), then Sandro Falbo (from Le Rivelazioni) and soon later Pino Ballarini, who had moved to Rome from Pescara where he played with Poema. THIS NOT A PROGRESSIVE ROCK ALBUM, BUT A HARD ROCK, GREAT PERFORMANCE AMD MUSICIANS FROM 1971.